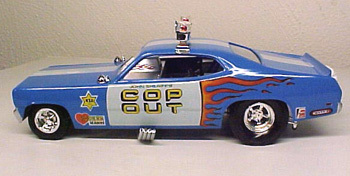 As a teenager growing up in N.Y.C., I got to sit in a few police cars, so I decided to build my Cop Out as a N.Y. police car. 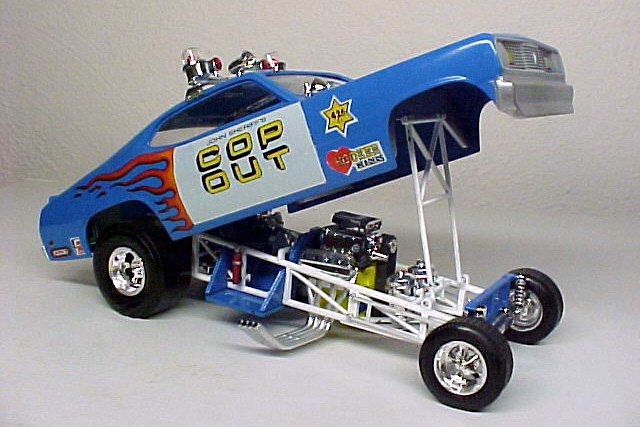 Tom Daniel made a far out version of a Drag strip police car. 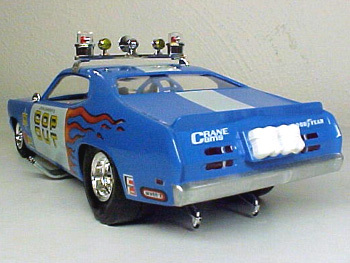 I painted this mean looking Duster funny car in safety Blue with the white decals and painted the detailed chassis white and Blue too. 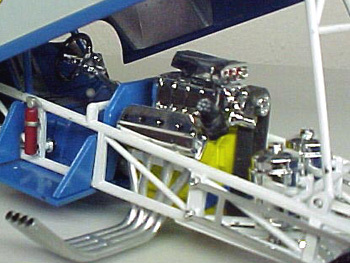 The Big blown 426 Hemi motor is painted Yellow, and should be more than enough power to turn the M&H wrinkled slicks fast enough to rundown any law breakers. 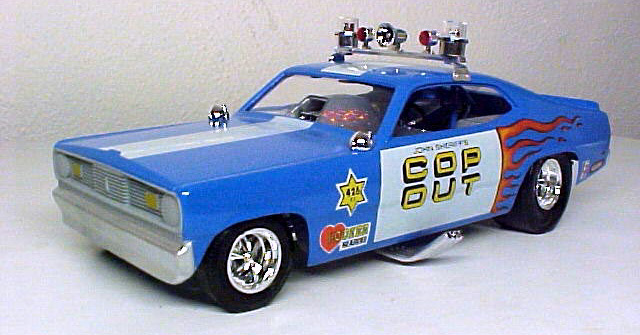 Emergency lights and cool Flames just make this “Cop Out” a great box stock kit for any one’s collection.